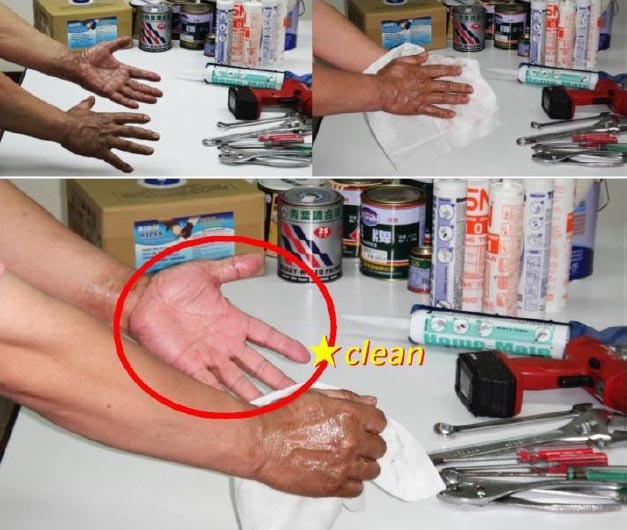 How to clean hands without the need of soap, hand cleaners or water? Rid of Wipes easily handles heavy duty cleaning like grease, oil, paint, dirt,and etc. 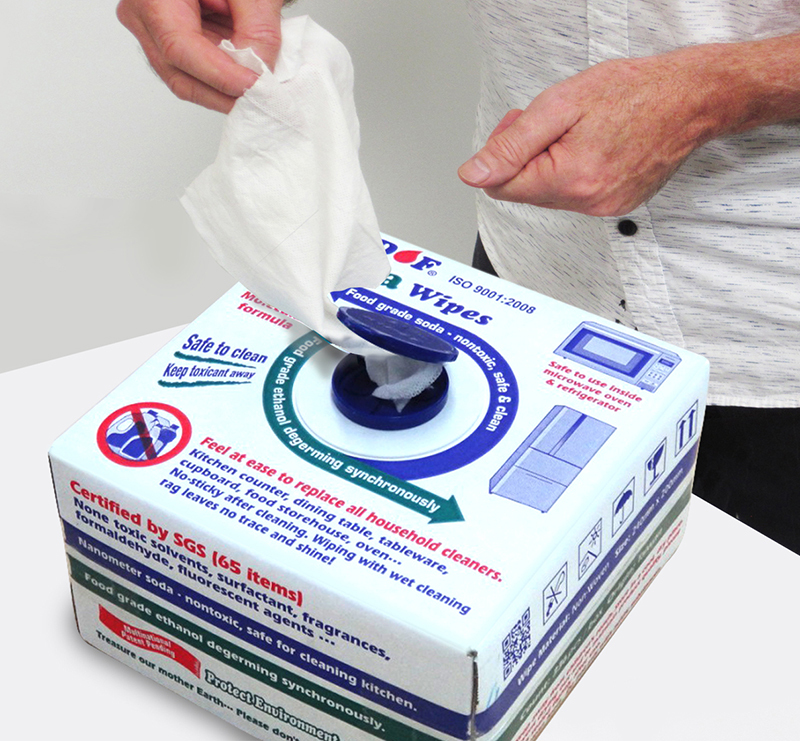 Rid of wipes is also called "1 wipe cleans all." Enables to clean tough dirt on your hands using natural ingredients. 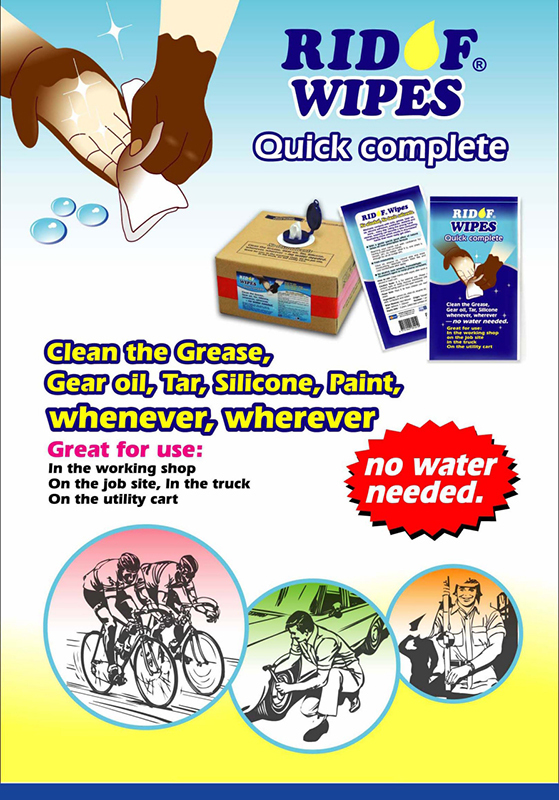 It is pre-moistened, hence, there's no need for soap, cleaners and water. 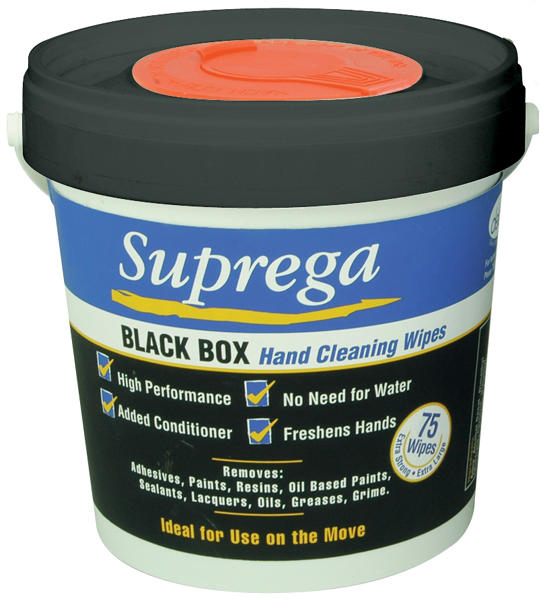 When cleaning, grease doesn't go back to skin when wiping. Non-sticky after cleaning. Whenever, wherever, no water needed. Deep cleansing. 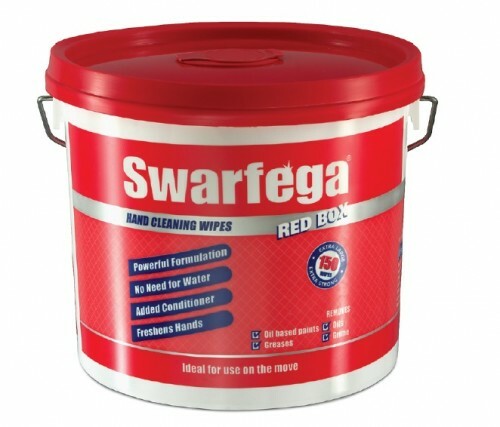 Swarfega Red Box 150 Wipes, Universal wipes for general hand cleaning, such as removing oil, grease and grime. 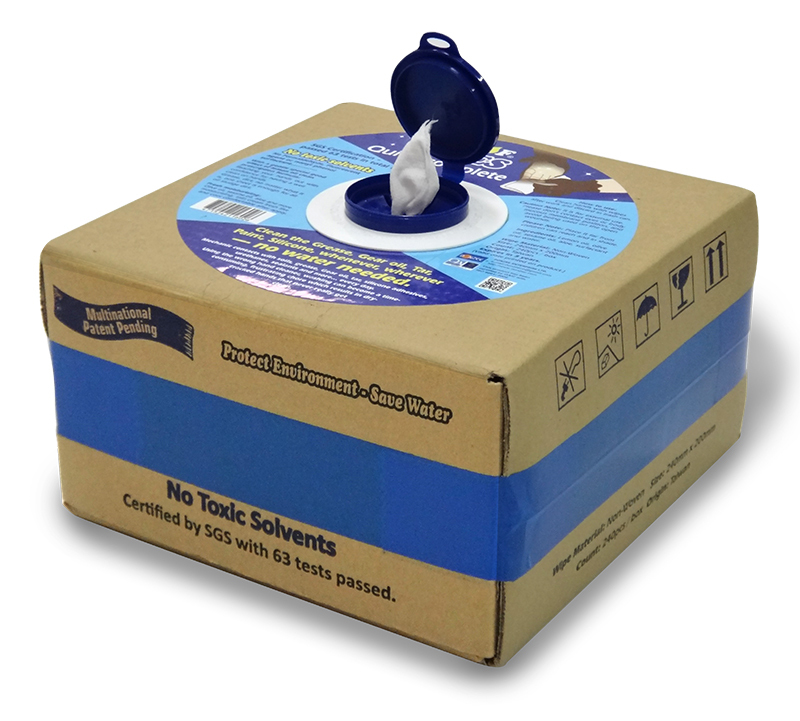 The impregnated tough, extra large wipes are available in a handy, easy-to-use pack which can be used whilst on the move, with no need for water. Suprega Black Box Wipes 75 is an industrial hand cleansing wipes. 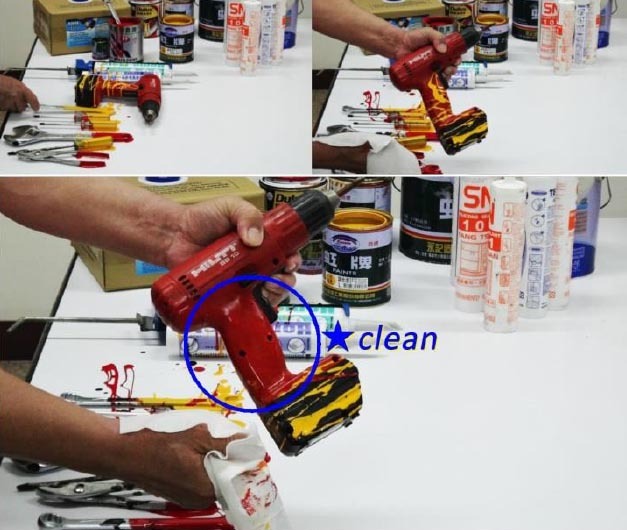 Tough extra large wipe combined with powerful HI-TECH liquid heavy duty hand cleanser removes: synthetic, 2 pack and cellulose paints; base coats and lacquers; body fillers, adhesives and sealants, plus most other refinishing soilings.